From our inception in the mid-1930s as the country was coming out of the Great Depression and experiencing economic recovery, Tyler was able to adapt to industry change. This resilience is the driving force behind the Tyler of today. Tyler Pipe designed and developed machines and products to meet the ever-changing needs of the customer. In 1959, Tyler Pipe introduced the first 10-foot length of cast iron soil pipe. In 1964, Tyler Pipe started manufacturing cast iron no hub pipe and fittings. In 1979, Tyler Pipe sold its100-millionth Tyler Ty-Seal compression gasket. In 1986, Tyler Pipe began production of its own no-hub couplings and gaskets. Solving problems creatively has been the Tyler Pipe way since its inception. The company has been a growth operation and attributes this to development factors and management’s alertness to the needs of the buyers and users. From the start, the company positioned itself to serve the plumber through conventional distribution channels. Our iron foundry is located in Tyler, Texas, and coupling and gasket manufacturing facility in Marshfield, Missouri. We have distribution centers in: City of Industry and Oakland, California. This wide-reaching footprint allows us to serve a variety of customers that span nearly the entire country. Whether you are located on the east coast, the west coast or somewhere in between, Tyler Pipe & Coupling can get your job done. We maintain these facilities with extensive safety precautions and environmental regulations. This has allowed us to create a working environment where positive change is generated for our workers and the communities in which they live. Tyler Pipe produces a wide variety of high-quality products. Every Tyler pipe and fitting and coupling and gasket is designed to meet industry standards — often exceeding these standards. Whether it’s the no-hub cast iron soil pipe or the hub and spigot gaskets, each of our products meets the stringent requirements set by the American Society for Testing and Materials. This gives us the confidence to tell our customers that when they get Tyler Pipe, they’re getting the best. That’s Tyler Tough. 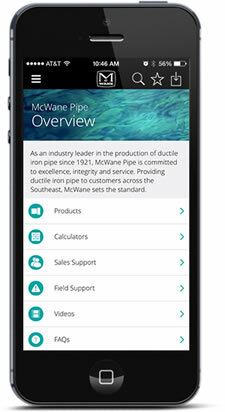 Tyler Pipe Company and Tyler Couplings are owned by McWane Inc., a privately held family company located in Birmingham, Ala.